During the 19th and 20th century, the US was ravaged by deadly diseases. One of these diseases was known as the “white death” or tuberculosis. This was an extremely terrifying and contagious plague, which had no cure at that time. In 1900, one of the places where this disease was predominant was Louisville, Kentucky. As a result, in 1910, one hospital was built on a hill in the southern part of Jefferson County. Because there were a lot of tuberculosis cases, the hospital became overcrowded, so another hospital was built between the years 1924 and 1926. When the new structure was opened in 1926, the Waverly Hills became the most advanced “white death” sanatorium in the country. But even with the best equipment of that time and the best doctors, most of the patients from the hospital succumbed to this deadly disease. Back then it was thought that the best way of treating tuberculosis was to eat lots of fresh food, fresh air and plenty of rest. Many people were able to survive their stay at the sanatorium, but at the height of the epidemic, hundreds of people died. After a while, the doctors started trying out treatments on the patients. In many cases, the treatments used by the doctors were as bad just as the disease. The experiments that were conducted on the patients in search for a cure may seem barbaric today, while others are still used to this day. Back then, the sanatorium had the so-called “sun rooms”, which used artificial light, or the sun directly on the roof of the hospital. 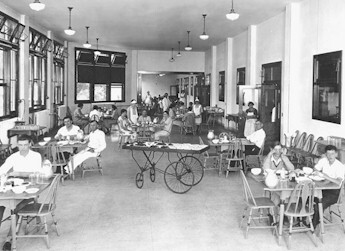 The treatment in the “sun rooms” was to expose the lungs to the ultraviolet radiation and stop the spread of bacteria. Since back then fresh air was considered a possible cure, the patients were placed in front of huge open windows or on the open porches, indifferent if it was hot or cold outside. Photographs still exist today that show patients lounging in chairs, breathing fresh air while completely covered in snow. There were also a lot of horrific treatments with a lot of blood involved. For example, some balloons were implanted into the lungs of the patients and then filled with air to expand them. This experiment usually had devastating results because some patients had their muscles or ribs removed from their chest to permit the lungs to expand further, letting more oxygen in. This procedure was considered to be the last resort. 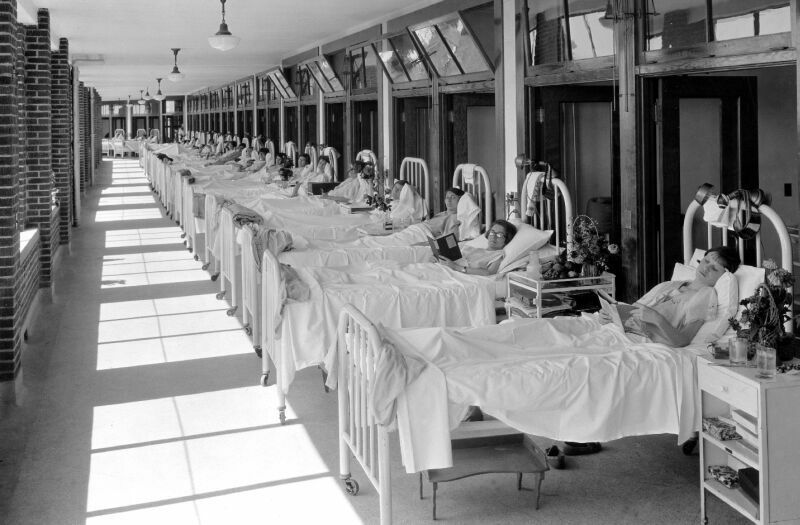 In 1943, new medicines helped largely eradicate tuberculosis in the US. 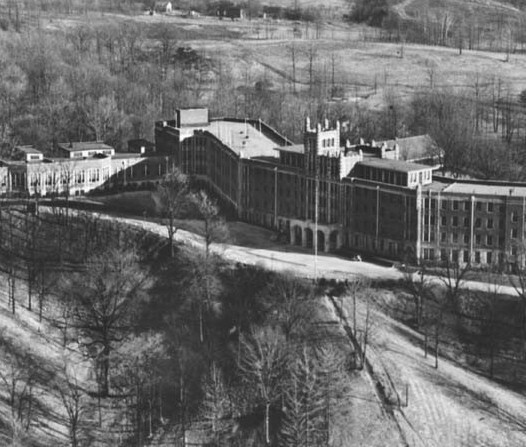 As a result, in 1961 the Waverly Hills Sanatorium was closed down, only to be re-opened one year later as Woodhaven Geriatrics Sanatorium. 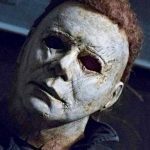 Many rumors told about patient mistreatments, and that strange experiments started while the building was used as an elderly home. Some of them were just stories, but many of them were, unfortunately, true. A lot of people underwent electroshock therapy, which doctors considered a highly effective treatment in those days. In addition to this, because of the budget cuts in the ‘60s and ‘70s a lot of patients had to live in horrible conditions and suffer a lot of mistreatments. In the end, in 1982 the hospital was closed for good. With the change of the 20thcentury, the abandoned hospital came to the attention of the Louisville Ghost Hunter’s Society and Keith Age. Over the course of several years, the group had close encounters with ghosts and other unexplainable events. The ghost specialists were always drawn to the fifth floor of the former sanatorium. The legends spoke of a man in a white coat that was seen to wander the kitchen of Waverly Hills. People have also reported being able to sense the smell of cooked food in some areas of the sanatorium. During the first visit of Louisville Ghost Hunter’s Society at Waverly Hills, they found the kitchen and cafeteria destroyed, with broken windows, tables, chairs, fallen plaster and a lot of water puddles. Before they could do a thorough analysis of the place, the ghost specialists reported footsteps, the smell of fresh baked bread, and a door slammed shut. 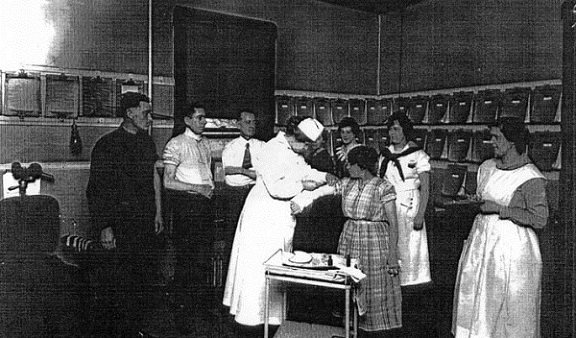 The fifth floor of the hospital consisted of two nursing stations, a linen room, medicine room, a pantry and two medium-sized rooms near the two nurse’s station. Room 502 is the most controversial subject and has generated numerous rumors and legends. It is said that in that room people jumped to their death and that shapes were seen moving in the windows. Some individuals even heard voices that told them to “get out”. People say that in 1928, the head nurse was found dead in Room 502. She had killed herself by hanging. She was only 29 years old, unmarried and pregnant. She was suffering from extreme depression and after one incident she decided to end her life. In 1932 another incident happened regarding Room 502. A nurse who was responsible for room 502 jumped to her death from the roof patio. No one had any idea why she decided to end her life like that, but a sure thing is clear: Waverly Hills Sanatorium is deadly. The Waverly Hills Sanatorium was a medicinal wonder at the beginning of 1900, but today only the shadows remain. Most of the people who have visited this place were witnesses to strange events, such as objects moving, doors slamming, and eerie voices. The Sanatorium was for a while in the center of attention of the Louisville Ghost Hunter’s Society, which have documented a series of creepy events. 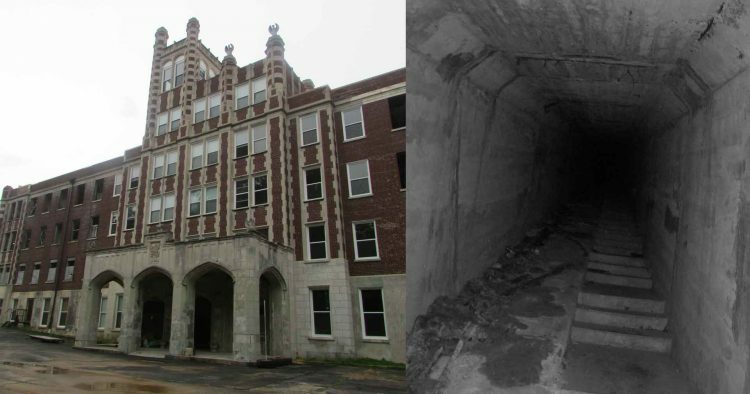 You can read lots of stories about Waverly Hills Sanatorium, but the only way of actually understanding the strangeness and mystery of this place is by visiting it yourself.